Advertisers alter the significance of the Thanksgiving Day holiday shopping weekend for consumers by migrating deals from in-store to online and making deals available earlier. The change in strategy has undercut the importance of going to the mall the day after Thanksgiving to get the best possible deal, according to Jon Swallen, chief research officer at Kantar Media. "Marketers did it through the evolution of their own marketing strategies and tactics," he says, calling retail an extremely competitive industry. One of the dominant patterns in the past few years has been an increased emphasis on promoting the sale and the deal, giving consumers a reason to come into the store today. "It's about getting today's advertising to drive advertising events to get today's purchase, and I'll deal with tomorrow tomorrow," Swallen says. 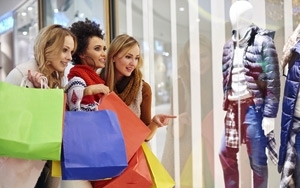 To understand the relationship between the amount a retailer spent and the increase in store visits by consumers, based on media on Black Friday, Kantar Media calculated the "lift visits per ad dollar," which measures efficiency and converts the measurement to an index scale to compare relative performance across retailers. It worked with location insights specialist Placed, merging their respective data on advertising spend and in-store visits to evaluate the amount of incremental store visits per dollar of advertising. Consumers download Placed's app onto their mobile device to track location, which gets overlaid on to a grid of retail store locations identifying where consumers visit. The measure provides a way to compare the results achieved by top national retail chains over the four-day Thanksgiving weekend. Retailers spent more than $1 billion on advertising in the weeks prior to the long holiday weekend, sending shoppers into the stores in force prior to the historic big day. Best Buy and JC Penney gained the most in the form of in-store traffic, compared with the amount spent in advertising online, radio and television -- not only on the day after Thanksgiving, but in the few weeks leading up to it. Kantar Media analyzed television, radio and online media such as mobile and desktop display and video to determine whether retailers took a different focus to promote Black Friday sales events as well as to determine the outcome of their advertising campaigns. The analysis also aimed to achieve a better understanding of the growth in online sales, the decline of in-store purchases, and reports of fewer shoppers in stores. Best Buy has an efficiency rating of 100, but spent $24.2 million on advertising between Nov 2 and 25, 2015. It had a lift of 125% in store visits. JC Penney also came in the big winner in terms of performance for the amount of advertising dollars spent during that time period. The retailer earned an efficiency rating of 75 and spent $25.3 million on advertising, receiving 132% more store visits compared with the benchmark period Kantar Media analyzed. Walmart had an efficiency index of 65. Its advantage in spending about $80.9 million was offset by a smaller lift rate in store visits. Target spent $47.7 million, earning an efficiency index of 63. At the low end of the rankings, Macy’s had an efficiency index of 33, the lowest of all 12 retailers in the analysis. Similar to JC Penney, Macy’s more than doubled the foot traffic into its stores from a low benchmark level but spent much more heavily on advertising -- nearly $50 million -- to help accomplish the task. Among the big-box home improvement stores, Lowe's and Home Depot battled to a draw. They had nearly identical efficiency index scores (45 and 44, respectively) and similar visit lift rates (34% and 36%, respectively). A significant proportion of the pre-Thanksgiving ad spend from each retailer was for holiday decorations. Consumer electronics are a popular item on consumer’s shopping lists for Black Friday deals and Best Buy stood up to the retail challenge posed by mass merchandisers. Leveraging $24.2 million of ad expenditures, Best Buy had a 125% lift in store visits. It produced the best ratio of lift visits per ad dollar among all retailers analyzed, thus earning an efficiency index of 100.